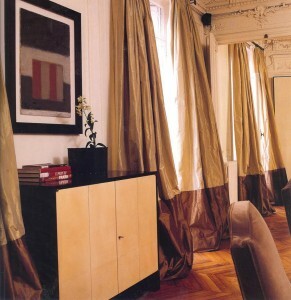 Seeing Anouska Hempel’s new London home reminded me of another old favorite – the Paris apartment of US based furniture retailer, Holly Hunt. 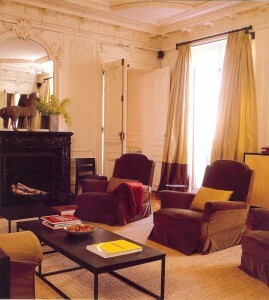 I first saw this in Elle Decor’s Margaret Russel’s book “Designing Women” published a few years back. I fell in love with this apartment and may well be what first introduced me to the work of Jean-Michel Frank and the other French moderne masters. 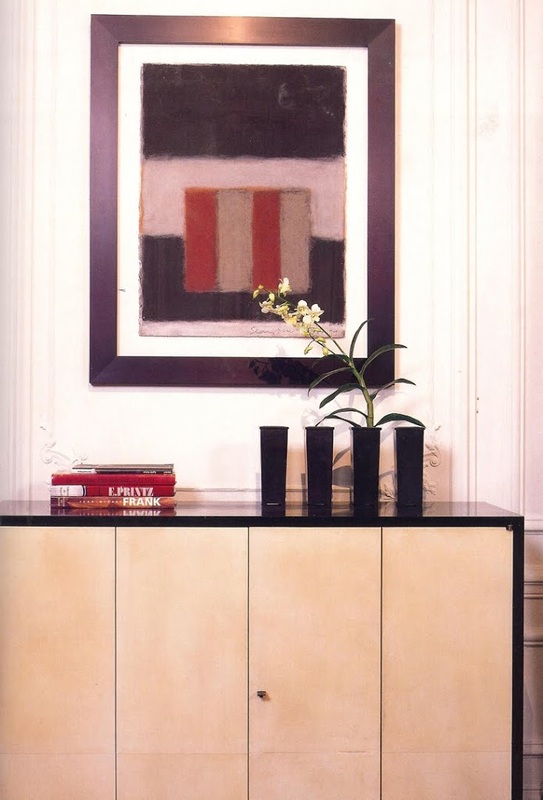 And as I had never heard of Holly Hunt, it may well have also been my first introduction to the work of Christian Liaigre and Axel Vervoordt (there are pieces by both in the apartment). That’s a lot to learn from one apartment! But this place certainly has style in spades. I absolutely fell in love with this cabinet when I spotted it. I’m sure I’d never seen anything like it at the time and while I couldn’t quite put the style into words I knew immediately I was onto something. Did you spot the books on top? I certainly did. Monographs on Jean-Michel Frank and Eugene Printz sparked my curiosity as did “Les décorateurs des années 40” . I was living in Tokyo at the time and tracking down copies of these books took me forever! In fact, I’ve only just got my hands on the Printz monograph recently. I fell in love with the sense of relaxed glamour in this space. Everything looks so stylish and so comfortable at the same time. And lest you wonder how all this loveliness reminded me of Anouska Hempel’s home…these lovely Chinese antiques fit right into this space along with the over sized sofas and the french moderne pieces. It’s no wonder Jean-Michel Frank was such a fan of Chinese antiques, they can be incredibly modern looking, depending on their surroundings. 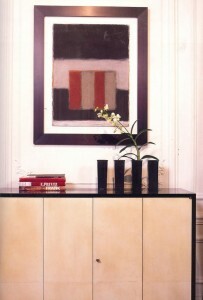 All photos taken by John M Hall for “Designing Women: Interiors by leading style makers” by Margaret Russell.